Furnishing your website with a blog that provides users with high quality and useful content is still a great strategy to raise your position in the search engine rankings. Your blog can be a powerful marketing tool that can expose your business website to more visitors and generate new leads which in turn drives more traffic to your website. No matter what type of business you have, if you are looking to increase your visibility, a blog is a great way to do it. Here are some things to keep in mind when you decide to focus on SEO along with building relevant and engaging content. Churning out blog posts on a regular basis with original content creates more opportunities for you to strengthen your SEO presence and to be indexed higher by search engines. Content that is based on new and relevant topics is given a higher priority from search engines. This can help your site stay active in the SEO search results. It is the search engine’s job to make the most useful and relevant content the top priority. Bots and crawlers from search engines are indexing your pages all the time. These crawlers rank the sites based on a variety of factors like inbound links, user time on site, mobile friendliness, and other factors. There are different ideas floating around the internet about the optimal blog posting frequency. Some people claim that posting as often as possible and creating as much content as possible is the best way to establish your website as an authority. This strategy is effective as well as very labor intensive. Some very successful blogs with millions of monthly visitors only post bi-monthly. What we recommend is to focus on content quality first, and make sure you are consistent in your approach. A consistent strategy is more advantageous to you then posting a lot of posts under a short period of time that might not have the highest integrity. Be sure to test to find what works best for you. 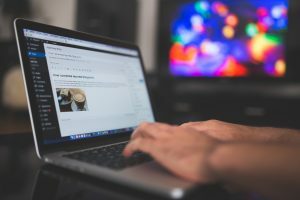 Focusing on tactical methods to help your SEO efforts is great, but it is also vital to keep in mind that your content is the most important part of your blogging success. Your posts should provide new and unique content that is shareable across social media platforms and on other websites. This is how you gain valuable backlinks to your website. Content that is in the ballpark of 1,000 to 2,000 words per post is a good target to go for. Once you have been posting content for a period of time and have some previous post catalogue built up, start think about sharing your blog posts across social media channels such as Facebook and Linkedin. Your content needs to have a planned out purpose. Here are some things to keep in mind when you are strategizing. Who is your target audience? What do they want, need, and value? What are the pain points or problems that your content will help solve for your readers? Decide what is the main purpose of your blog. Will you have calls to action and or links to help you generate leads? Focus on a few highly relevant Keywords – Your content should contain a few relevant long-tail keywords, without overdoing as to feel natural to the reader. Optimizing your blog for keywords is not about including as many keywords as possible, In the attempt to rank. This practice is known as keyword stuffing. Search engines have updated their algorithms to be better able to detect this. Do not go overboard with your inclusion of keywords that you want to be used for SEO purposes. Here is an article explaining why using more specific keywords can help drive more qualified traffic. Is Your Blog Mobile Friendly? – In our current year, most search engine traffic is mobile. Recent algorithm updates by Google have given an edge to mobile friendly websites and blogs over others that have outdated and unresponsive designs. Content Freshness – New and interesting content that is original has an additional ranking factor that will push it higher in the SERPs for a period of time. If your blog topic is about a current event or update in your industry, you might rank higher because of its relevance. 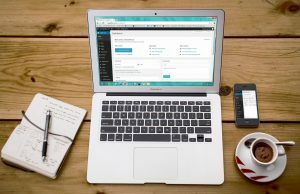 Guest Blogging for Referral Traffic – Guest blogging can be a great way to build relationships and expand your reach as well as build valuable backlinks to your website. This is a well known method to gain referral traffic that is relevant to your niche. Make sure that you are not linking back to your site in a way that appears to be spamming. You are allowed to have links about relevant information throughout your post that would lead back to your website. Blogging consistently can be one of the easiest and most cost effective ways to boost your website’s search engine rankings. If you are dedicated in your efforts at creating high value content that satisfies a need, you can reap the benefits of organic traffic for years to come.